► Digital owner manual, warranty information, and more. ► Storage for online service and maintenance records. 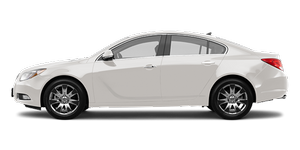 ► Buick dealer locator for service nationwide. ► Exclusive privileges and offers. ► Recall notices for your specific vehicle. ► OnStar and GM Cardmember Services Earnings summaries. My GM Canada is a password-protected section of www.gm.ca where you can save information on GM vehicles, get personalized offers, and use handy tools and forms with greater ease. ► My Showroom: Find and save information on vehicles and current offers in your area. ► My Dealers: Save details such as address and phone number for each of your preferred GM dealers. ► My Driveway: Access quick links to parts and service estimates, check trade-in values, or schedule a service appointment by adding the vehicles you own to your driveway profile. ► My Preferences: Manage your profile and use tools and forms with greater ease. To sign up, visit the My GM.ca section within www.gm.ca.